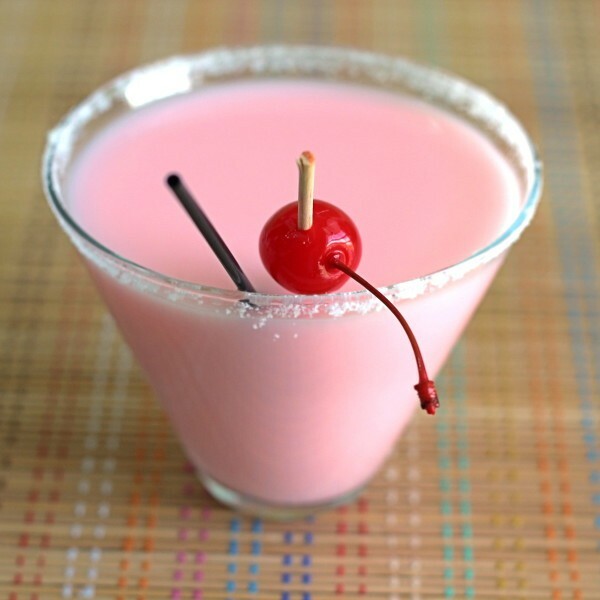 The Pink Diamond is an unapologetic frou frou drink. 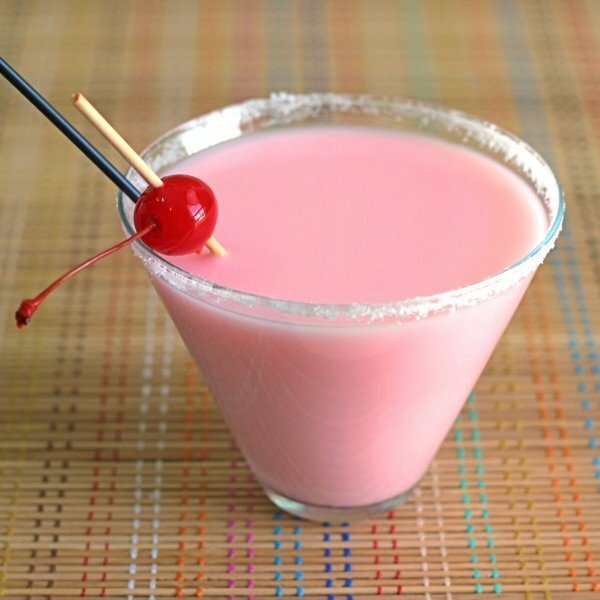 It’s beautiful, pink and creamy, and it tastes like a chocolate covered cherry, but a little bit lighter and less cloyingly sweet. People may turn up their noses at it, but it’s hard to imagine actually not liking the taste of it. I love that this cocktail has tequila instead of vodka or rum. Tequila is underused in drinks that don’t contain lime – it goes very well with a lot of different flavors and textures. Fill a cocktail shaker with ice. Pour all the ingredients in and shake vigorously. Strain the mixture into a chilled martini glass. 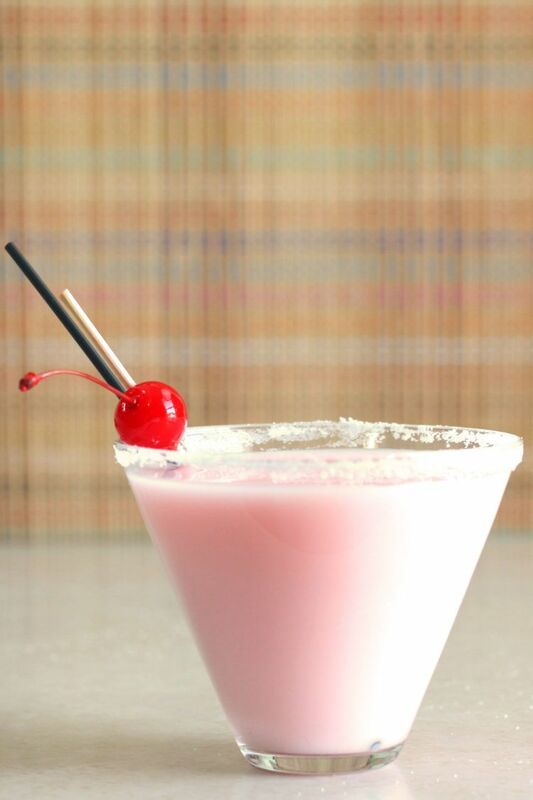 Optional: for garnish, rim the glass with sugar and add a cherry. You can also swirl chocolate syrup around the edges of the glass.